Taking an unexpected trip without time to swing by the store for essentials? 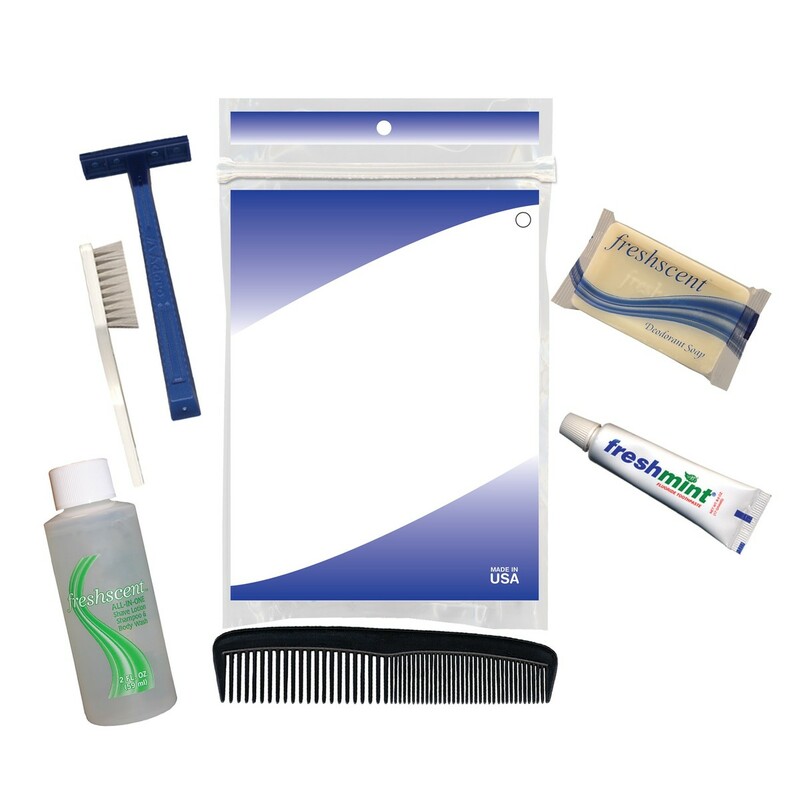 Just slip this 8" x 6.5" resealable plastic pouch into your luggage or briefcase and you’ll be prepared to spend a night or two on the road. Add your organization or company logo or message to these pouches to create a handy promotion that’s makes a great giveaway for convention attendees and business travelers that might have forgotten a few things when they packed. 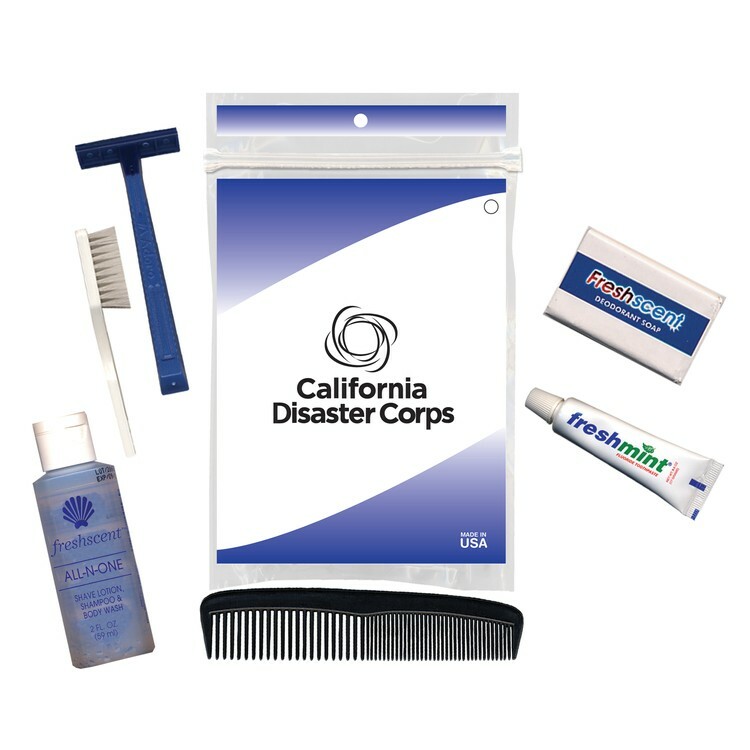 This kit includes 1 Bottle of 3-in-1 Shampoo/Shave/Body Wash, 1 Short Handled Toothbrush, 1 Comb, 1 Razor, 1 Bar Soap, and 1 Toothbrush Tube.